I love containers and have a hard time throwing any out, especially when the label comes off easily. 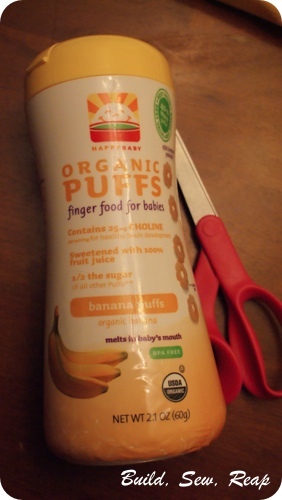 I emptied a canister of baby puffs the other day and just knew the container could be used for something. I happened to have all my sewing stuff out so it hit me that it would be great to keep by my machine to toss in threads, scraps and other small trash as I work. I just cut off the label, dumped out the puff dust and had an instant mini trash can for my sewing stuff. Love it! !